Two years of relatively low gasoline prices put more money in consumers' pockets, and it's clear many chose to spend it on new cars. For yet another month, consumers spent a record amount on new cars and trucks in December, with the average transaction price breaking the $35,000 mark. Kelley Blue Book (KBB) estimates the average new car and truck sold in December cost the buyer $35,303, a record amount. Of course, consumers got a little help coming up with the money. 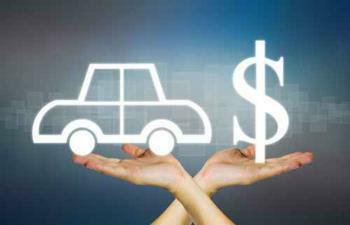 "Even though transaction prices are at an all-time high, incentives have grown similarly to counterbalance the increased prices," said Tim Fleming, analyst for Kelley Blue Book. Dealers put up thousands of dollars in cash back bonuses while manufacturers offered 0% financial deals to make payments more affordable. Fleming points out that the higher average transaction prices don't mean vehicle prices are rising, its just that consumers are buying more trucks and SUVs, which cost more than fuel efficient sedans. In many cases they are also splurging on options packages, making the vehicle more costly. “Should the sales mix of cars to SUVs reach a stable point in the near future, actual transaction price growth could match or fall just short of inflation," Fleming predicted. Among automakers, Fiat Chrysler saw the biggest gain in transaction prices, rising 3% on the strength of its Chrysler, Dodge, and Jeep brands. The Pacifica minivan powered the Chrysler brand to a 10% increase in the average transaction price. Ford was another strong performer, thanks to consumers buying more Ford Explorers during the month. Lincoln did its part, with strong sales of the Continental, which cost consumers an average of $57,156. However, consumers by no means had to spend that much to drive away in a new car. The KBB report shows the average transaction price of a compact car was $20,405, up only 1.6% from the year before. A subcompact went for an average of $16,664, just 0.2% more than it cost in December 2015.